Go To Event Rentals services Orlando and the surrounding areas. Our inventory expands past table and chair rentals to glassware, linens, dance floors, donut walls, and even chuppahs. Make us your Go To Event Rentals! Go To Event Rentals is an Orlando party rentals company, we guarantee to exceed your expectations with our service and selection. Our wide selection includes authentic farm tables, donut walls, chuppahs, Chiavari chairs, charger plates, and more. Go To Event Rentals offers the classic party rentals as well as some more uncommon ones. We stock plenty of tables, folding chairs, wedding linen, and center piece rentals. Ask us about the more uncommon rentals as well! Do you have a big event coming up in Orlando? 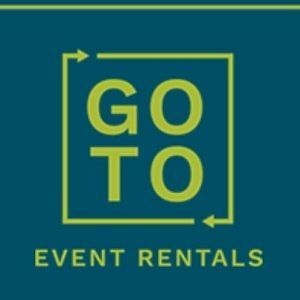 Go To Event Rentals wants to help! We offer a wide variety of rentals for any event; weddings, birthday parties, corporate events, retirement parties, and more. Go To Event Rentals is a great place for wedding rentals in Orlando. We offer everything from Chiavari chairs and sweetheart tables, to farm tables, a corn hole set, wooden center pieces, and wedding arches. Shore Tents and Events provides affordable tent rental and party rental services to residents of Clearwater & the Tampa Bay Florida area and is experienced in covering all outdoor events.